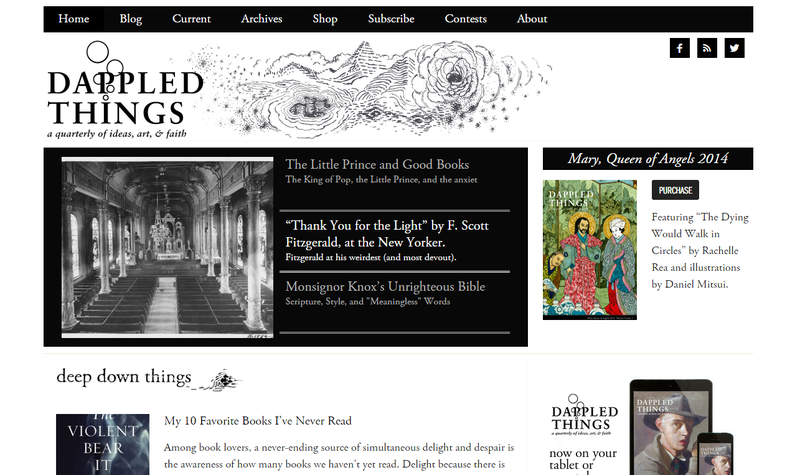 Dappled Things literary magazine invited me to join their board as Web Editor. We redesigned the site to allow for more interaction between readers and contributors and to showcase the art included in each issue. The recently redesigned site includes a section for ordering back issues of the print magazine, as well as a subscription order form for print and digital subscriptions. The new site is mobile-responsive and features content from a wide variety of contributors.